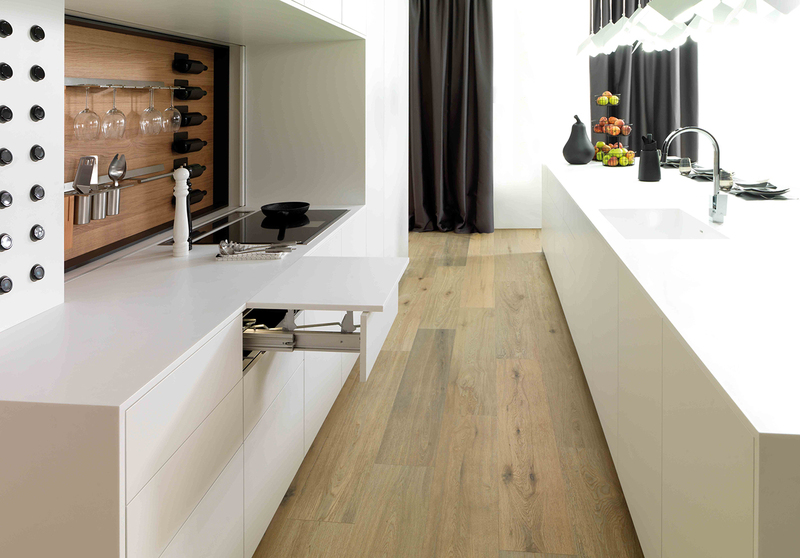 Some materials are hard to combine, and matt lacquers and Krion are a case in point. Indeed, creating matching tones in both materials has proved a complex task to date, due to the different characteristics of each. 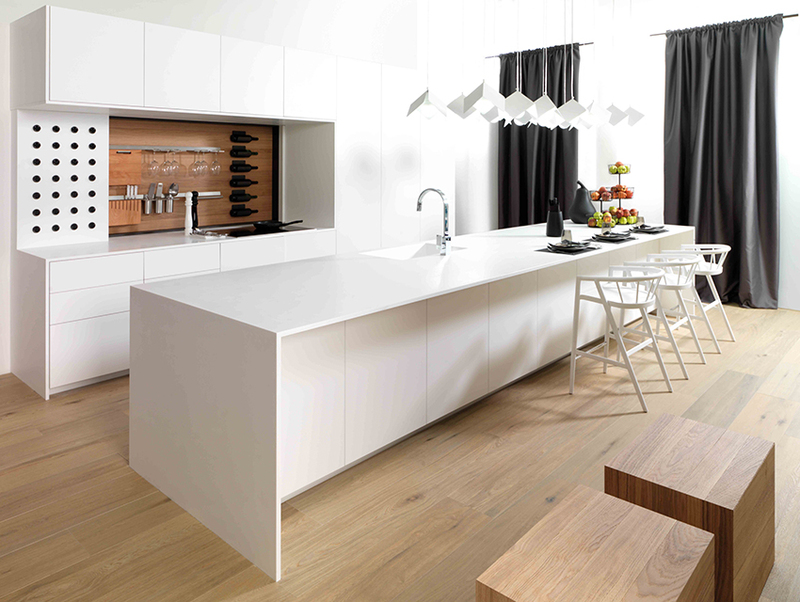 However, we have created the perfect combination with this Emotions kitchen, where Krion and lacquer come together in identical white tones. One of the highlights of this kitchen is the large work area where there is ample space to add several stools, turning it into a big table for family and friends to gather around. 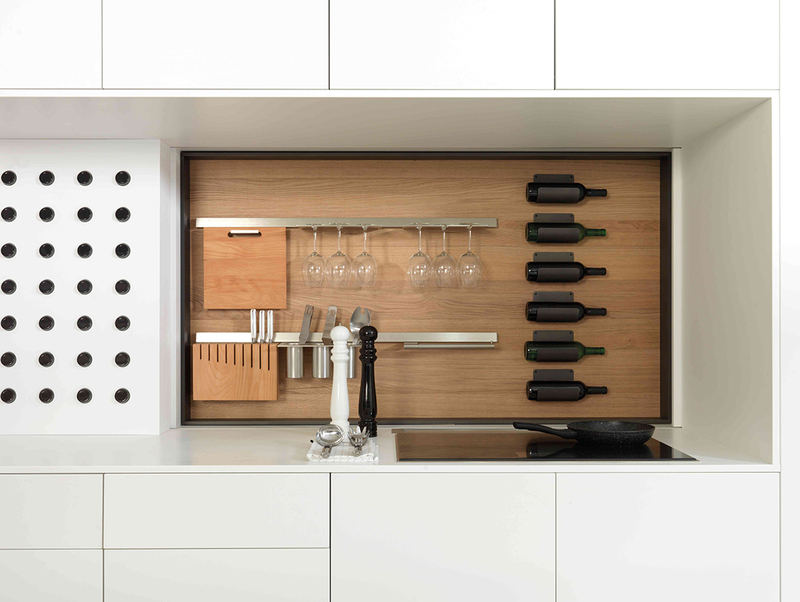 In addition, the backsplash features a spice rack and sliding door, both manufactured in Krion, enabling us to conceal the area if we wish, in contrast with the front panels in matt Snow lacquer. The area housing electrical appliances such as the fridge comes with an innovative system for automatic opening and closing. This is an extremely useful feature, as how many times have we forgotten to close the fridge door properly? 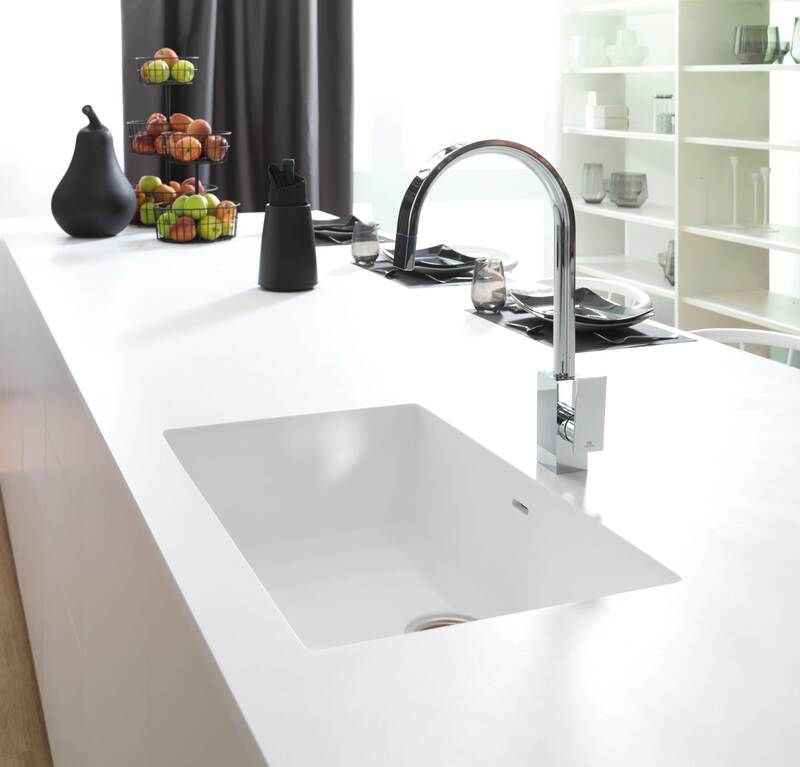 Last but not least, another important feature is that the countertop and sink form a single piece thanks to Krion’s highly malleable properties. 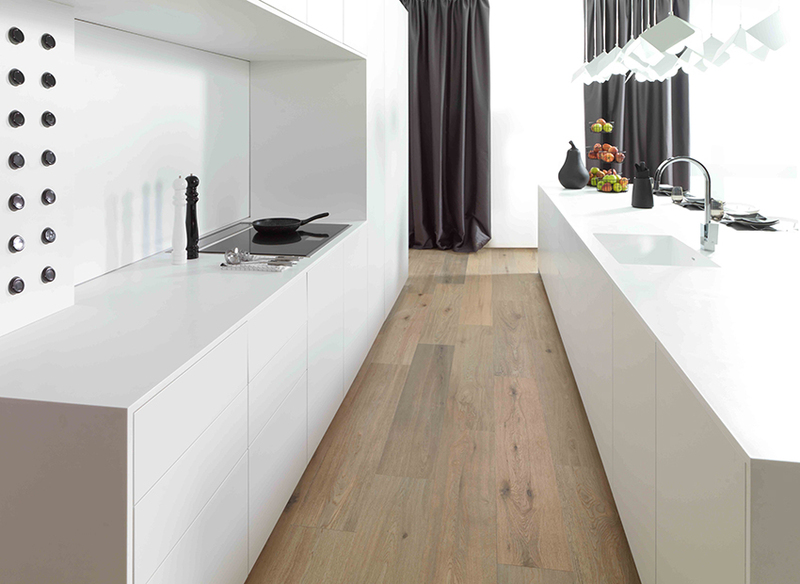 E4.00 blanco snow mate, roble puro is a kitchen with a deceptively simple appearance, yet which boasts materials, finishes and technology that make it extra special, featuring a surprising design whilst offering all the functionality these spaces require.